Pharm. 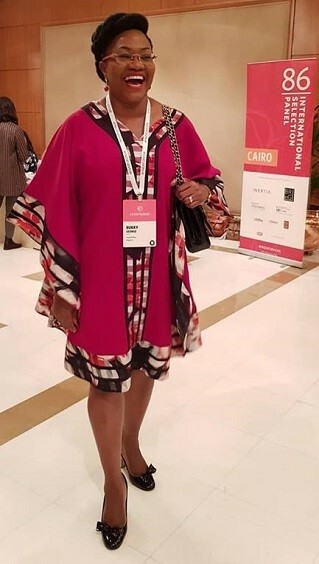 (Mrs) Bukky George, the founder and ceo of Healthplus Pharmacy and CasaBella Beauty, has just added another feather to her hat, by winning the prestigious Endeavor Entrepreneur Award, being the first female Nigerian to clinch the prize. While receiving the Endeavor Entrepreneur Award Plaque at the Four Seasons Hotel in Cairo, Egypt, Pharm. George, through her Facebook video appreciated God and all those who made the achievement a possibility, saying it was one of her goals in 2019 and it has been accomplished on a significant day which was the birthday of her Equity Race. Narrating all the hurdles she scaled through to emerge the winner, she admitted that clinching the award was worth all the efforts.” It has been a long journey for me, because I had really scaled through some hurdles. We had the First Opinion Review, Second Opinion Review, and several interviews along the way. I also scaled through the local selection panel in Lagos, Nigeria and I had some global reviews, and then came the international selection panel interviews and I got a yes”. 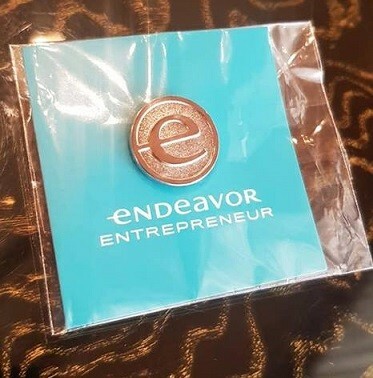 She further explained what Endeavor is all about, stating that it is a non-profit organization that supports high-impact entrepreneurs so that they can build thriving companies that employ thousands of people, generate billions in wages, and inspire countless others as role models. Together, these entrepreneurs hold the key to sustained economic growth in every part of the world. Pharm. George also explained how she got to know about Endeavor entrepreneurs during her OPM programme at the Havard Business School. “We had a few in my set. I immediately knew I wanted to be one. The challenge was that they needed to first launch the Nigeria office. This happened last year and my process began”. She said:”With the support of an unrivaled network of seasoned business leaders, Endeavor works to catalyze long-term economic growth by selecting, mentoring, and accelerating the best high-impact entrepreneurs worldwide. “Endeavor helps entrepreneurs to think bigger, make better decisions and multiply their success. Its basic model is to link up small and mid-size businesses with these seasoned entrepreneurs so that they can get the advice and contacts they need to grow their companies into bigger businesses that can employ more people. ”The high-impact entrepreneurs in Endeavor’s network have successfully scaled their businesses and created significant wealth and job opportunities in nearly every industry and region around the world”, she stated. While she has been receiving several accolades and felicitations on her Facebook handle, it has also been celebration galore in her office, as her employees have been celebrating her since the week begun. The management and staff of Pharmanews Ltd. also join her colleagues in celebrating the ‘Wonder Woman’.